I modified this recipe from a year ago to add oatmeal. It is very important to mix the milk in gradually to achieve the consistency desired. The previous recipe called for 2 cups of milk, but I had perfect consistency after 1.5 cups. 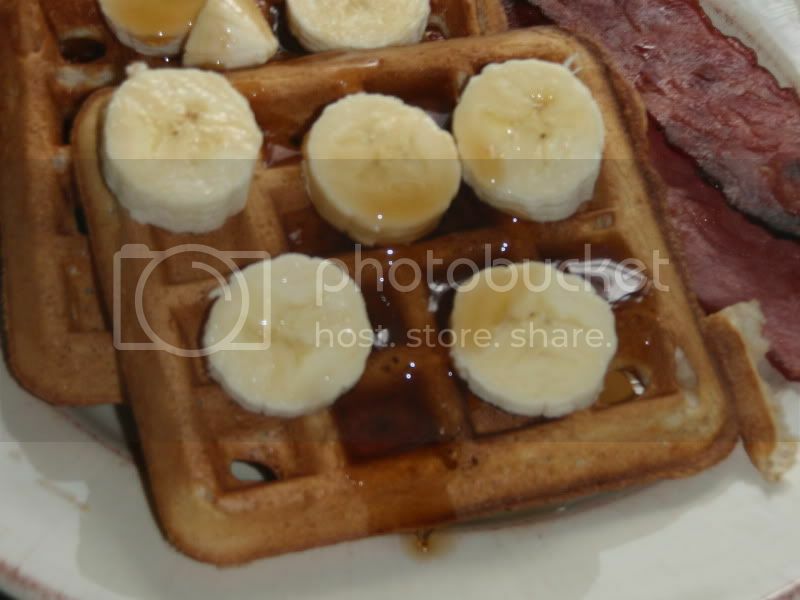 I used a Belgian waffle maker borrowed from my auntie which makes 2 squares instead of the usual four. 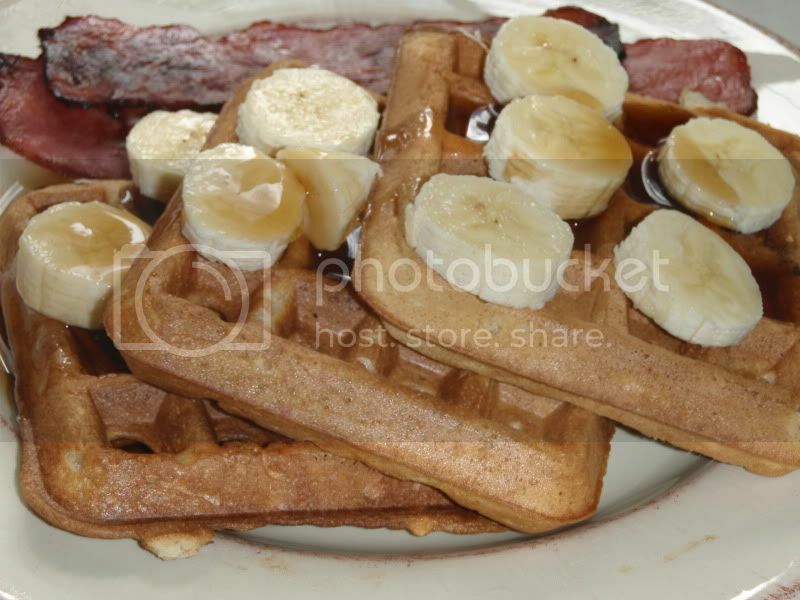 Perfect for this small recipe which makes 3-4 big (4-square waffles). Preheat waffle iron according to its directions. 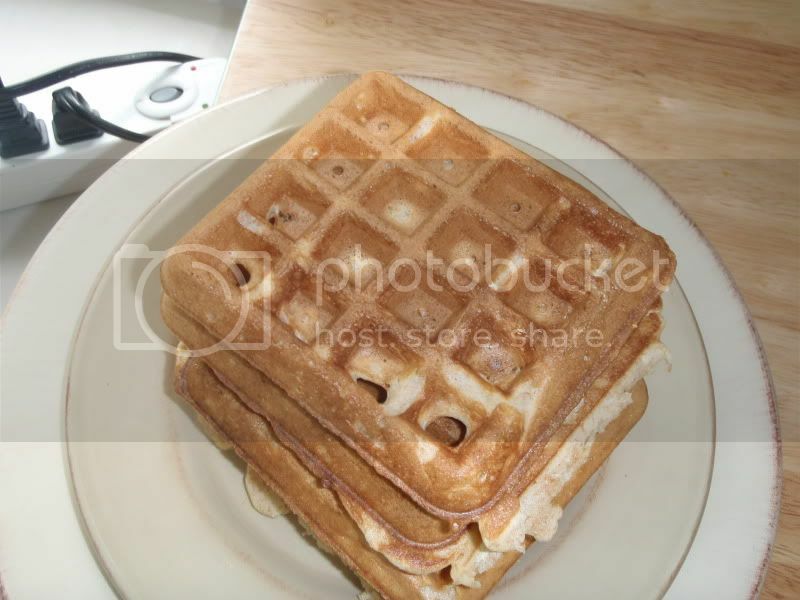 Pour about 1/4 c of the mixture into the center of each waffle square; spread around. This may vary depending upon the size of your iron. Cook until golden brown. Serve with fruit, powdered sugar, fruit, and/or syrup.